Field to Cup is a tea discovery service that sends you 8 high-quality loose leaf teas to try every month (28+ cups). Each box includes a steeping guide for each tea and membership perks. This review is for the Discovery Plus, $29.97 a month, box. The Cost: $24.97 for the Tea Discovery Box, $29.97 for the Tea Discovery Plus Box, and $39.97 for the Premium Tea Discovery Box. COUPON: Use code MSA50 to save 50% off your first month when you subscribe to the Tea Discovery Plus box! The Products: Seven 10g loose-leaf teas, one 2 oz.”Customer Favorite” tea (select from Green, Black or Herbal/Wellness), a members-only 40% off discount for teas from the current box, and a steeping guide with preparation instructions. The information insert includes a description of each tea, steeping instructions, and information on membership discounts. I was very happy to see Ceylon Supreme as my larger pouch this month. When you sign up, you get to choose Green, Black or Herbal/Wellness for your larger pouch so this one will vary depending on your preference. I tend to stick to black teas as coffee replacements so this simple but delicious black tea suits me. This Ceylon tea is from Nuwara Eliya ( Sri Lanka). This tea only requires three minutes to brew with soft boiling water. It’s definitely a strong tea so I would suggest paying attention to your brew time. I brewed this for the three minutes and really loved the simplicity of the flavor. This is a plain black tea but, as with all Field to Cup black teas, it’s really rich in flavor. This is a great tea for any time of day but the three out of three on the caffeine scale makes it more of a morning tea for me. Mint is really the star of this month’s green tea. The mix of floral jasmine and spearmint evens out to a nice flavor. This kind of tea calls for pouring boiling water in the mug, waiting, then adding the tea. It also has a short brew time of 2.5 minutes. I always make sure to pay attention to brew time on lighter teas to avoid any bitterness. I really loved this hot but I’m tempted to get more for minty iced tea this summer. More Ceylon! Forever! Please! At the risk of sounding redundant, Field To Cup has awesome black teas. They’re always incredibly smooth and perfect on their own or with any additives. This black tea is a Ceylon tea from the Ruhuna district. There’s no bitterness or acidity to this tea, just a slight spice in the aftertaste. That aftertaste is the main difference between this and the Ceylon Surprise. My only problem with their black teas is that they’re so easy to drink so I have to keep an eye on the caffeine. This is a three out of three on the caffeine scale so it’s appropriate that “Morning” is in the name. That’s when I’ve been enjoying this brew. I’m always excited to see a rooibos tea in the Explorer Box because rooibos is so hearty and earthy. That type of flavor mixed with the three out of three on the caffeine scale makes this a great breakfast tea for me. I was a little worried about the lavender because that can easily become too flowery for my taste. I didn’t think it was too flowery in this tea because the heaviness of the rooibos and berry essence balanced it nicely. I prefer rooibos without sweetener but you can always add some to bump up the lavender and berry if rooibos is a little heavy for your taste. Field To Cup really brought me around to fruity black teas. I used to stick to plain black teas but now I know what I was missing. The Chinese and Ceylon black tea base is so smooth and delicious. I love the raspberry flavor and the vanilla adds a great amount of sweetness. I added a tiny amount of almond milk to lighten it up a bit. This is one of the teas that taste great but I almost love the scent even more. The aroma of tea can be surprisingly complex and I love the combination of black tea and sweet vanilla. These blocks of Pu’erh Gold tea are so interesting! Pu’erh is a fermented tea from Yunnan, this specific one is from Xishuangbanna. The steeping instructions suggest three minutes for a lighter brew and four minutes for a darker brew. This does brew quickly and I went for a darker tea. It’s so hard to describe the flavor of pu’erh because it is just like an extremely smooth black tea but with a lot of earthiness to it. The tasted a little woodsy to me. This wellness tea had so many ingredients and they all looked so beautiful in the dry tea blend! As with most blends that have larger chunks in it, this has a longer brew time of six minutes. With so many different ingredients, there wasn’t one scent that stood out to me. It was sort of a light earthy, almost grassy aroma. The taste of this tea is super mild and comforting. The sweetness of the mango cubes and floral notes stood out to me the most. As weird as it sounds, the raisin came through a bit for me and I really liked it! The green earthiness of the stinging nettle is mixed in there too. I always love to have this kind of calming tea around for an afternoon or evening when I just want to read a book. I’m pretty sure this is the first oolong tea I’ve received from Field to Cup and I was really excited to see this! Tea blends don’t have to be beautiful to taste good but isn’t that always an awesome bonus? I love the way the jasmine petals look at this blend and would definitely store a lot of this in a glass jar on my shelf. This blend smells so fresh before you brew it and the aroma really deepens when you brew it. This is a light oolong that only has a three minute brew time. This is a super light jasmine tea but the orange peel adds a little tart kick. I would definitely suggest paying attention to the brew instructions on this one. I let one cup brew for too long and it was a little too sharp for my taste. But a little sweetener took care of that easily! Verdict: Field to Cup is always a fun box for me. This box has quite a few black teas which really suited me. I always know those are going to be a hit with me but I was really pleased with the other teas this month! It’s always fun to get a totally new kind of tea and the oolong was really great! I think my favorites this month were Ceylon Supreme and Mint Mystique. Can you still get this box if you sign up today? 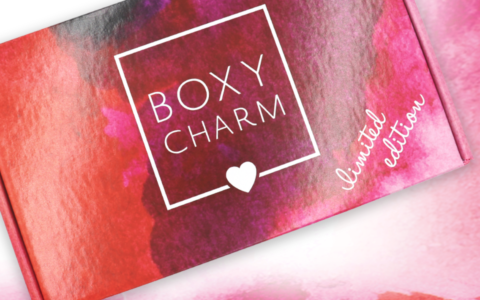 Yes, if you sign up now, April will be your first box! 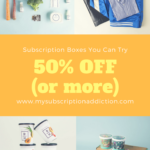 Coupon – Use code MSA50 to save 50% off your first Tea Discovery Box Plus box! Value Breakdown: At $29.97 per month, you’re paying approximately $0.42 per cup of tea. That’s based on the breakdown of each tea below which can vary depending on how much tea you use in each brew. 10gr each of 7 different teas, enough for 35+ cups. 2oz of Customer Favorite/Seasonal tea: select from Green, Black or Herbal/Wellness above in dropdown. Enough for 25+ cups. Check out all of our Field to Cup Discovery Plus reviews to see what types of teas you can expect from this subscription! What do you think of the April Field to Cup? What’s your favorite tea this month? Field to Cup has made me a tea drinker 🙂 I can’t do coffee and need some caffeine in life… I really like their black teas. I just finished my stash of tea and saw this and had to get it. Their black tea is awesome. My favorite so far (I think) was the jackfruit tea back from the fall. Is anyone else having trouble looking up teas on their website? Just not sure how fast I will get through this much tea, but it is delicious. I have still not received my March box :/ This looks great though! I did send them an email 2 days ago, going on 3 days. Hopefully they respond soon! They contacted me and have resolved this. Great customer service!